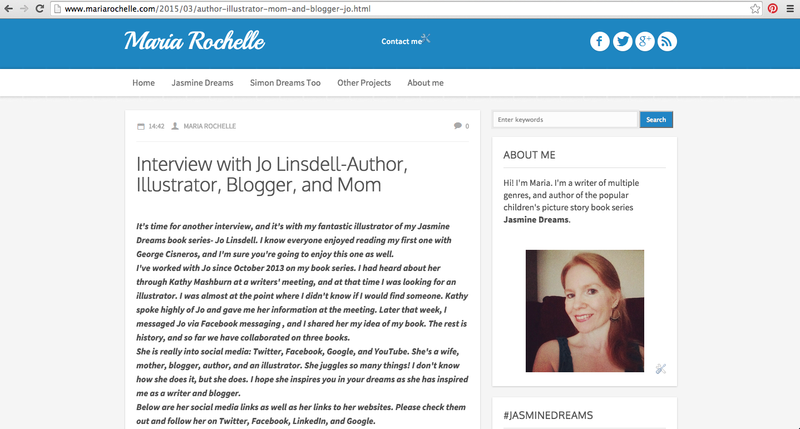 This week I was interviewed by +Maria Rochelle for her blog at http://www.mariarochelle.com/2015/03/author-illustrator-mom-and-blogger-jo.html. 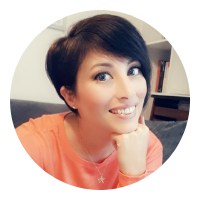 In the interview we chat about a whole bunch of stuff from how I ended up in Italy to how many books I've illustrated. I also share some of my top tips for aspiring writers and illustrators. I hope you'll drop by and read the interview, and welcome any comments, feedback, or questions.